There’s a plentiful supply of American movies about the high school underdog, but can Perks of Being a Wallflower stand out from the crowd? Perks of Being a Wallflower follows the story of Charlie, a loner starting high school, who becomes friends with a group of social outcasts which improves his life; but friendship, love, drugs and literature result in an education he’ll never forget. The main character, Charlie, is played by Logan Lerman and despite his age his experience is evident. Lerman plays Charlie excellently as a recluse, not interacting easily with almost anyone. And despite this difficult role, he remains the emotional draw of the film providing effective heartfelt moments around almost every turn. The film cleverly uses drugs as a device to loosen Charlie and his background and is a smart change from Hollywood’s usual display of people hallucinating and laughing nonstop. 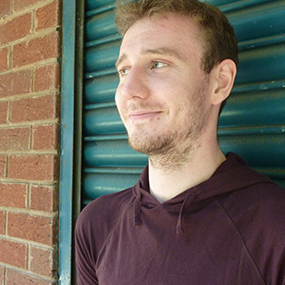 Charlie’s background slowly unravels using other characters to sporadically hint at his past using these moments to build rather than overtake his character. Emma Watson and Ezra Miller also star as Sam and Patrick, and provide humour and huge personalities which is much needed when playing against Lerman’s quiet recluse. In particular, Watson plays Sam, a reformed delinquent, who conveys an impressively subtle understanding with Charlie with no real need for dialogue. The film’s atmosphere is provided largely by the well picked music played and created on mix tapes the friends share. This adds a further depth to characters and gives an insight into their personal likes. In particular, The Smiths are used inventively to underline the sombre outlook of characters that are sometimes unhappy but always on the fringe. This film captures innocence, rebellion, disaster and comedy in a way that’s unusual for a film based in a high school. 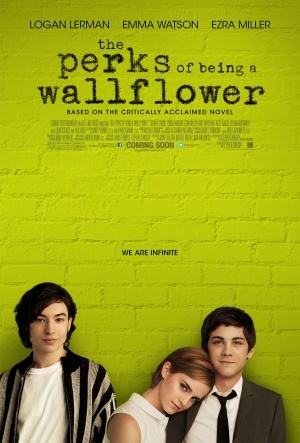 With a great soundtrack and brilliant cast, Perks of Being a Wallflower could become a new teenage cult favourite.